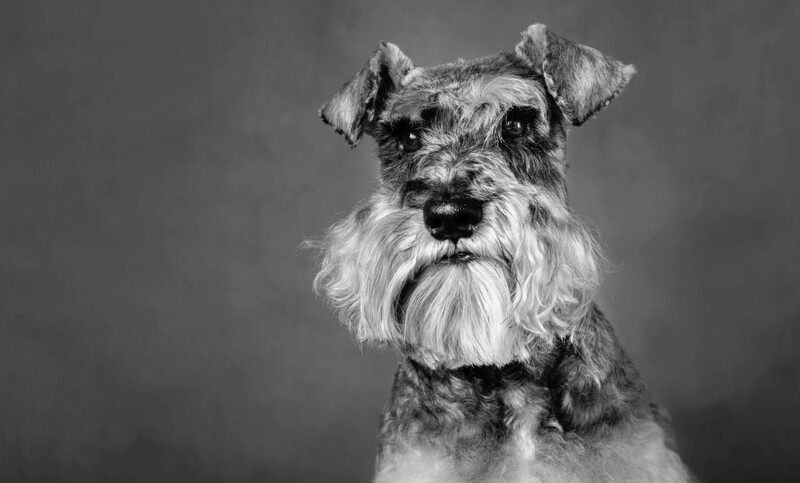 Dexter the Miniature Schnauzer was a very recent visitor to our Dog studio just outside of Farnham. 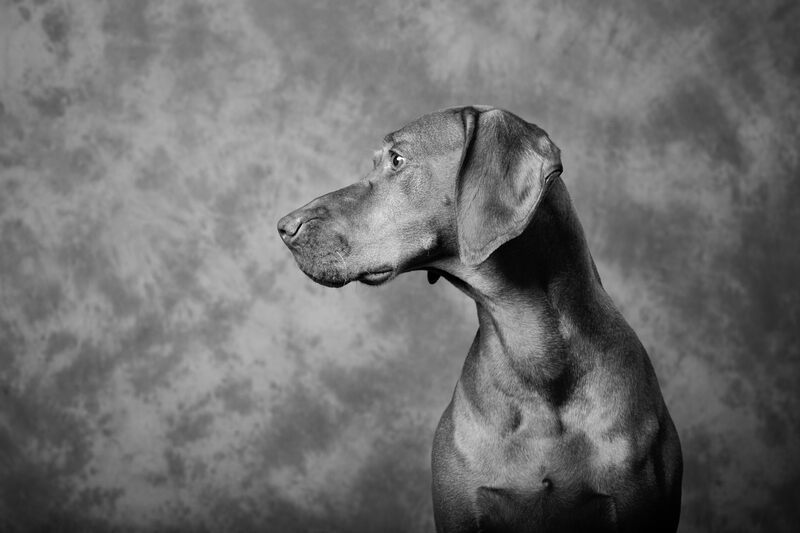 He had no problem with all of his poses, and had just the most gorgeous temperament. I love the rich deep colours in this profile photograph. When you book a session with us, we aim to get variety and expression, as well as gorgous light and rich colours for a pet portrait to cherish forever. 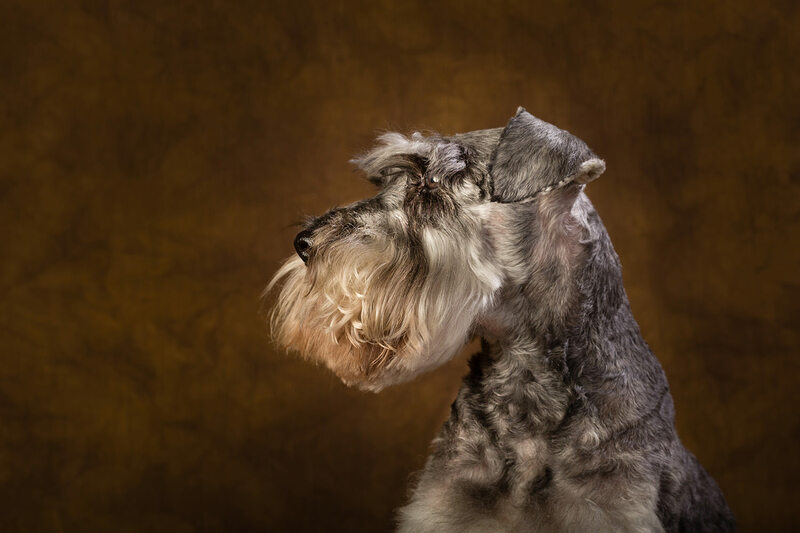 If you have a miniature schnauzer we would love to welcome you at the studio for a portrait sitting – get in touch to find out how! Puppy photographs – who doesnt love them!? 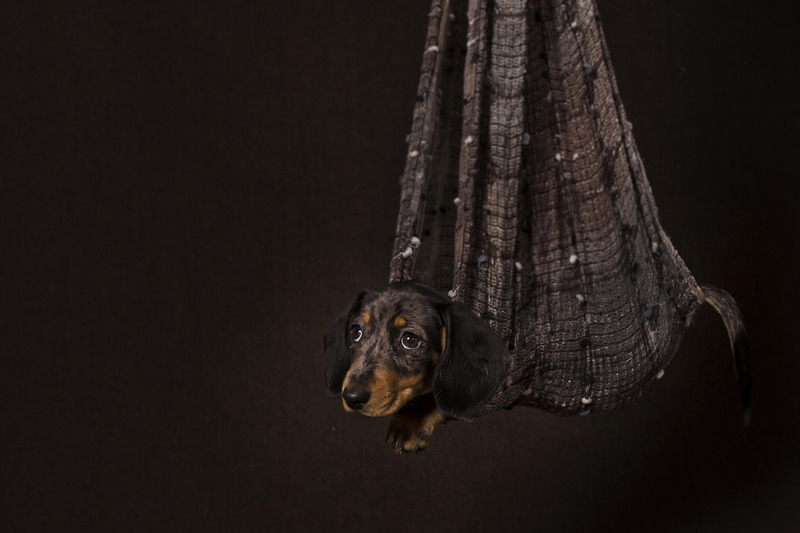 We get many gorgeous puppies through our studio doors, and depending on their age, it allows us some great creativity. 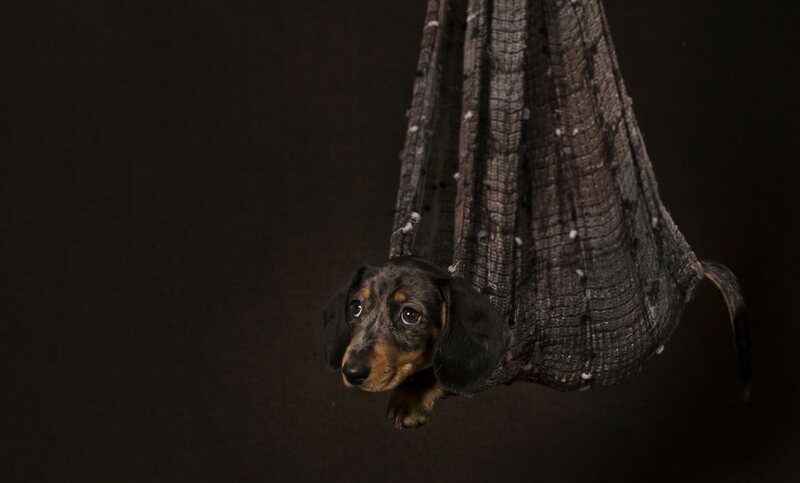 We have numerous props for puppy photographs, as well as just some gorgeous soft, plain backdrops for captruing that very short time in their life when they are adorably cute! If you would like some puppy photographs, then why not call us or get in touch on our contact page to arrange a shoot. We would love to meet you! We have had the great pleasure of a whole string of this beautiful breed recently. 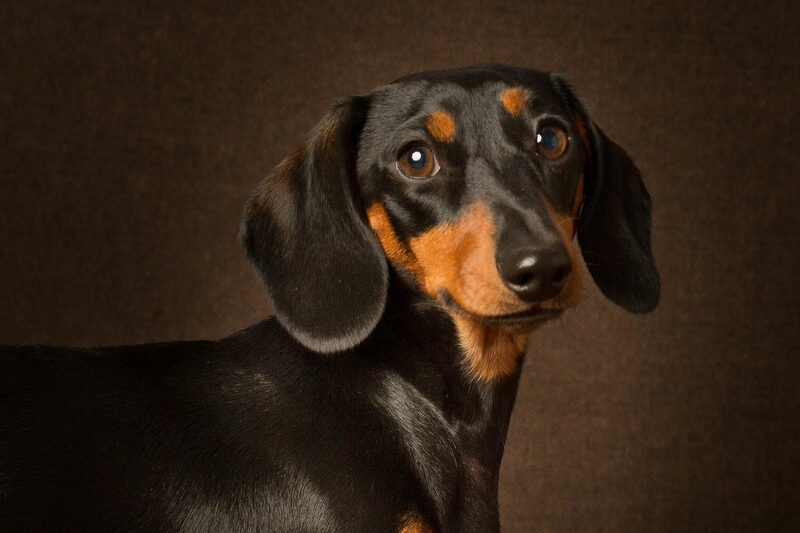 Not having met many Dachshunds before, they are a might dog in a small package. Full of character, very confident and cheeky, and an utter delight to have in our studio! This may well be a breed to consider for my next dog, and as one owner said, the fact that they can leap through the cat flap to do the necessaries in the garden is another bonus! Gifts for a Dog Lover! You know how hard it can be to find gifts for the one you love. Now you have the opportunity to purchase the best gift for any Dog Lover – a photograph of their beloved pet! Dogs bring so much joy to our lives, and it is an unfortunate truth that they are not with us for as long as we may like. Our new photographic studio on the outskirts of Farnham in Surrey, catering exclusively for pets and their owners, gives you the perfect gift for anyone who has a dog.